More and more people are moving their businesses to the online or starting small news ones. The same happens to IT companies. The competition is fierce and to be able to rise above it and strive you need to come up with something new to give you slightly the edge. 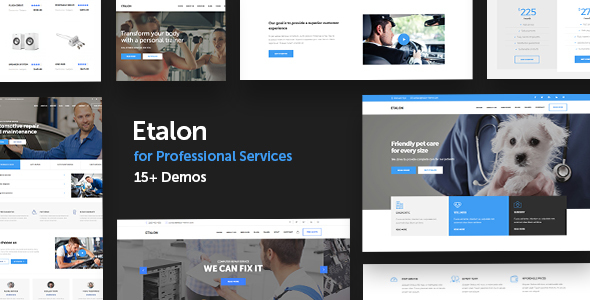 Etalon is ideal for startups and small businesses. 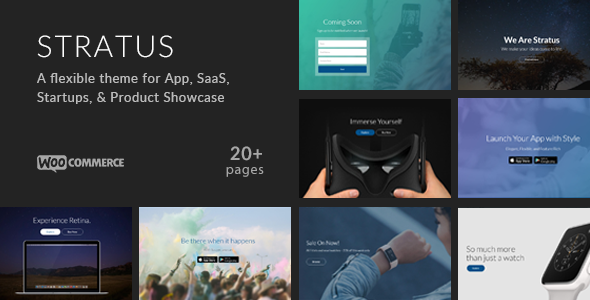 All its 15 demos are designed and built for this niche and you cannot go wrong with either. All its features were purposely selected for their usefulness so the theme is not overloaded with features you will most likely never use. This pixel perfect theme offers Google Map integration, is compatible with Contact Form 7 and is SEO friendly. Display your services in an ordered way using the tabbed layout, as well as showcase images with the drag and drop photo gallery. Select your best testimonials and display them beautifully with integrated the testimonials carousel. I recommend checking out the demo and see what more Etalon can do for you. Ideal for a variety of purposes and businesses and packed with amazing features, Nucleus gives you full creative freedom. You can choose to go with one of the 6 already created homepage demos, or start from scratch using the integrated shortcodes. 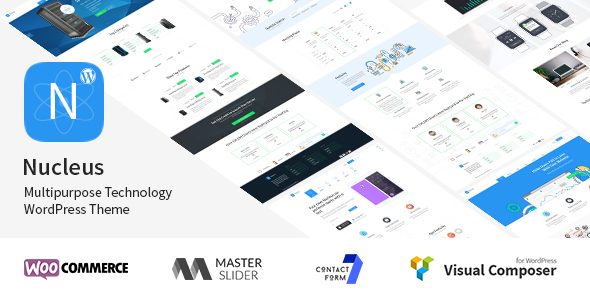 Build any layout your heart desires with Visual Composer and then enhance it some more with the Master Slider. Nucleus comes integrated with Contact form 7, and is fully compatible with WPML and WooCommerce. It also gives you full freedom to change the theme’s files as you wish, if its features are not enough. Needless to say, Nucleus checks all the requirements for a great WordPress IT theme! Marketing PRO is a stunning and reliable WordPress theme to help you put online a modern and beautiful website ideal for an IT company. It is designed especially for digital marketers, experts in SEO and small business owners. There are plenty of options to change the theme to your style without touching the code. You can either import the demo content, create the site from scratch using the shortcodes, or use Visual Composer to build the layout you most prefer. The theme is optimized for speed and it makes a difference in getting more traffic in. Use Marketing PRO and make the right first impression without breaking a sweat. Always stay relevant among your competition with H-Code and release your creative mind to create a beautiful work of art to display your IT services and tech products. You need to do it right the first time, so you audience keeps growing steadily and constantly. 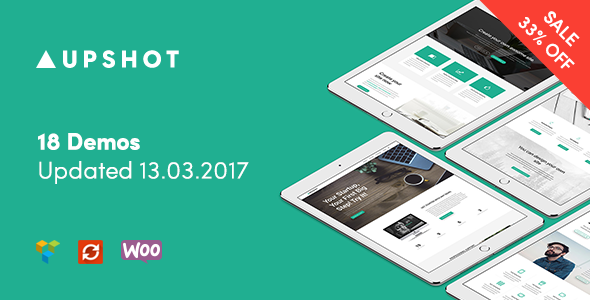 There are over 50 out of the box and ready to use homepage layouts built specially for startups and small businesses. Individualize your content and with the latest trends in design to have the best change of standing out. Your website has few changes to look like any other website, thanks to the diversity H-Code brings to the table: 31 multipage demos, 26 one page demos, 6 intros and over 200 elements and shortcodes. Take your business to the next level! This premium WordPress theme was developed with App and SaaS companies in mind, as well as tech startups, and IT companies that want their main focus to be on the products and services they deliver. Straight from the beginning, without having to add to the code, Stratus looks amazing on any device whether it’s a phone, tablet or desktop. It comes bundled with the Master Slider plugin, which saves you $20, it also included with form templates and several layouts. Over 500 icons, multiple shortcodes, easy demo import, full documentation and great support is just a small part of what makes Stratus a stunning theme. Go check it out! Being multipurpose and containing a great variety of skins, this theme is suitable for different kinds of businesses. Also, the theme’s user-friendly interface and incredibly powerful drag-and-drop page builder allow you to adjust the theme to your needs easily and confidently. Due to an efficient JetElements addon, the theme has practically an unlimited amount of customization options, including such useful content blocks as Brands, Carousels, Post Sliders, and many more. Furthermore, a variety of Cherry plugins, among which you’ll find Cherry Team Members, Cherry Trending Posts, Cherry Search, Cherry Testimonials, Cherry Socialize and others, offer numerous ways to present your content. The Events Calendar and TM Timeline will be useful in displaying and planning events both for your company and for your customers. With an average rating of almost 4.8, Incubator is one of best themes for startups without a doubt. Having over 12 impressive and beautiful demos, Incubator make is beyond easy to launch your business in the shortest time possible. You can choose a layout from the various concepts like: business startup, classic shop, mobile app, corporate, conference/event, creative agency, SEO agency, eBook, product showcase, classic portfolio, and more. 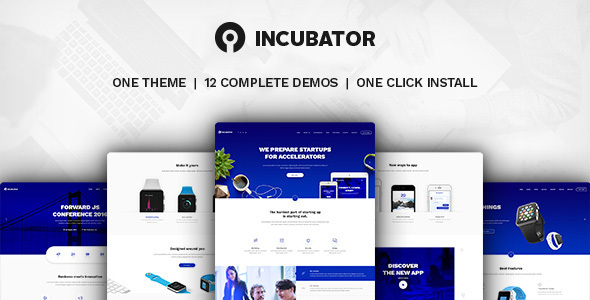 Incubator is also easily one of the fastest one-page themes on the market, and will impress you with its smooth scrolling and parallax effects. Ensure success in your startup with Incubator. 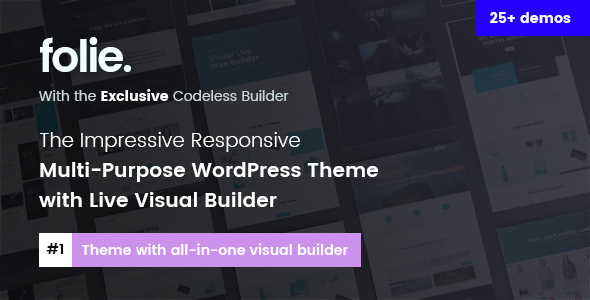 This astonishing theme is carefully built with Visual Composer and contains an impressive variety of pre-built pages of different skins. You only have to make your mind what kind of content should be presented on your pages and what style you prefer. You can emphasize information about your team using Cherry Team Members Plugin, showcase all your successful projects with Cherry Projects, present your services with Cherry Services List, and many more. Your content can be arranged into menus of different complexity with Max Mega Menu, and your clients’ search can be facilitated with Cherry Search Plugin. The theme is also WooCommerce ready, so running your business online will be easy and pleasant, and, as special giveaways, it includes a pack of free images on business topics and Revolution Slider Plugin to make your website even more powerful. KeySoft will help you get your IT business into the online market in no time. Thanks to its creative, professional and stunning design, your services and portfolio will not look better. Nothing will get in your way with this theme; the sky is the limit. Focus more on your products and services rather than design, and let KeySoft take care of that for you. You can have a homepage in minutes with the one-click demo content install. 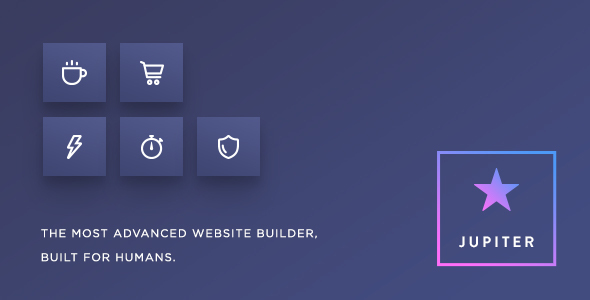 Choose from 9 different headers and unlimited custom Visual Composer elements to truly make your site your own. Let your inner designer show and customize the theme to your own liking using the theme’s panel. 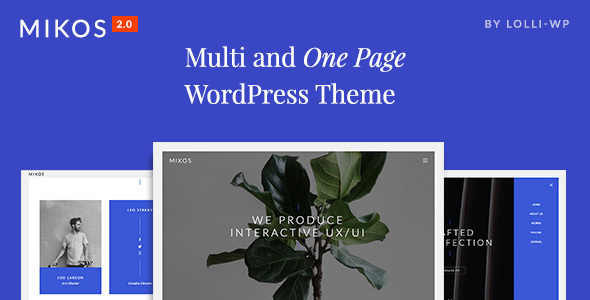 Here comes Mikos, a stunning theme ideal for startup businesses, personal blogs, and product pages. Mikos is a great choice for beginners, as it requires no coding experience beforehand and it comes with useful and easy to use features. With a modern and elegant design, Mikos will work amazingly with any type of business and product showcase. Use its great shortcodes to introduce your pricing plans, team members, products and services, and perfect your website’s layout. Turn your visitors into clients with the help of Mikos. Envato specially picked Folie as one of August’s most beautiful and functional premium WordPress themes. 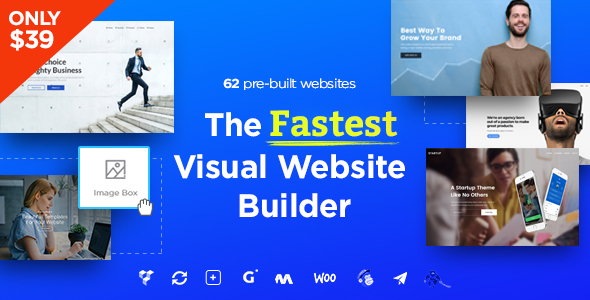 This theme’s most impressive feature is the live visual builder, which will literally turn your website into Play-Doh and let you mold it however you want. What’s better than that? Not at all surprising, with Folie you are not limited to just the 25 demo templates, but you can combine elements from them and make one yourself without messing with the code. The theme’s code was optimized for performance and it loads only the needed resources. I have to agree with Envato, and say this is one of the best premium themes of August. 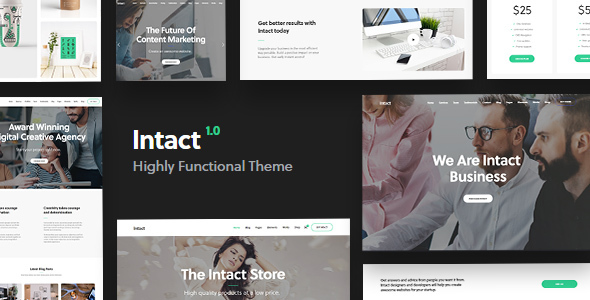 Intact is a multipurpose, responsive WordPress theme with various demo content options, among which you can find the Tech one. I highly recommend it, because of its practical, resourceful and intuitive design. Give your projects a vivid and cool design and make them stand out from the crowd. 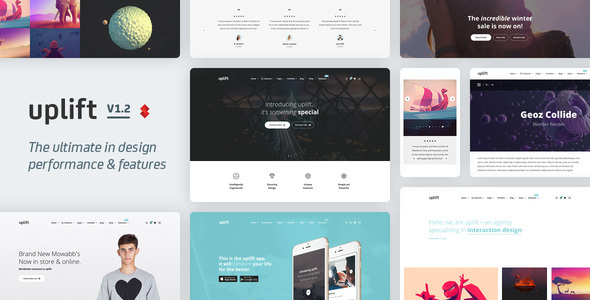 Intact’s impressive features are: 12+ demo homepages, several layouts for inners pages, blog pages and portfolio pages, fully responsive, and easily customizable. Intact helps you save around $100 because of the premium plugins that come with it such as: Visual composer, revolution slider, Templatera and icons mind. Get Intact and have your site up and running in no time! Built with utility in mind, Upshot provides you with all the tools you need to build an engaging and intuitive business website. Upshot is quintessential for showcasing portfolios and boosting your work. Your website’s design and appearance is just as important as the services you provide, and people will take notice to both. At the moment it has a variety of 17 pre-built demo homepages you can choose from, and they keep constantly updating the list. Upgrade your content and make it unique with the Inner pages’ different layouts. You can easily customize the header, build unique layouts, footers, and mega menus, sell your products with WooCommerce and more. Upshot gets your IT business going! Jupiter promises quality, innovation and unparalleled performance. It is pixel perfect and constantly updated near perfection. You can safely build a complete website in a few hours tops using one of the 140+ demo templates; whether it’s for business, community, food, health, or technology – you got it. You won’t have to worry about using it in multiple tabs, browsers or screens because of its incredible cross tab synchronize feature. Jupiter admin panel is incredibly fast, thanks to the advanced vue Model. Made a mistake? No need to sweat it, as you can undo your changes up to 35 states. Start your tech startup with Jupiter and you will not regret it. 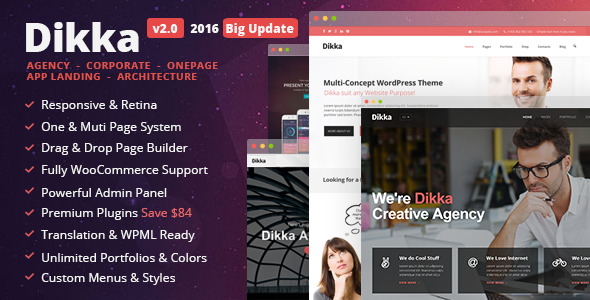 Dikka is a responsive, beautiful and trendy WordPress premium theme suited perfectly and purposely for any type of startups. It was built on Bootstrap and it comes in an amazing package containing Revolution slider and the Cube portfolio plugin. Dikka is flexible and easy to use, having 5 layout concepts: architecture, agency, corporate, one page and app landing. Add your personal touch to the website using the themes admin panel or the page builder. To keep it short, your IT or tech startup will look incredible with Dikka, without having to do much. 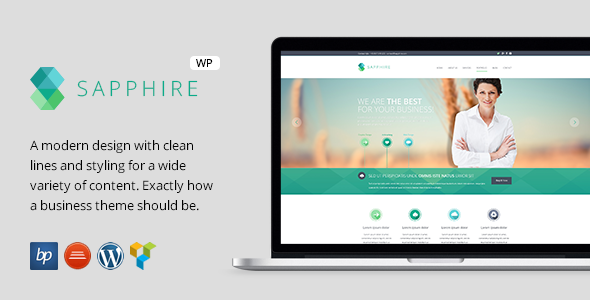 Designed and developed by HardcoreThemes, Fi-Print is a sophisticated and clean premium WordPress business theme. Featuring several already built award winning demo homepages and multiple inner pages, Fi-Print will leave little for you to do other than launch the website. It comes with not one, but two page builders: Visual Composer and SiteOrigin, to make it even easier to customize your theme. Each month they add a new awesome design and improve the theme constantly. Their support team is available 24/7 ready to help anyone with even minor issues. Make your business stand out from the masses with Fi-Print! 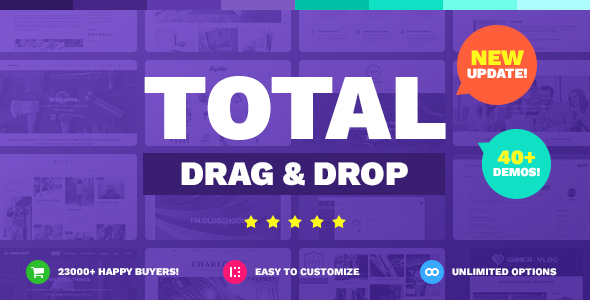 Built with Power Page Builder, this incredible theme contains more than 25 modules, numerous layout options and a library of presets, so the only thing you have to do is to choose from various customization options to adjust the theme to your needs. The theme’s functionality will also impress you with a great variety of elements. Content modules of this theme will let you add data of different types, so you can experiment with a blog, insert countdown timers and pricing tables, add different sidebars, buttons, contact forms, and many more. With social widgets which are also a part of this theme you will build a stronger connection with your clients. 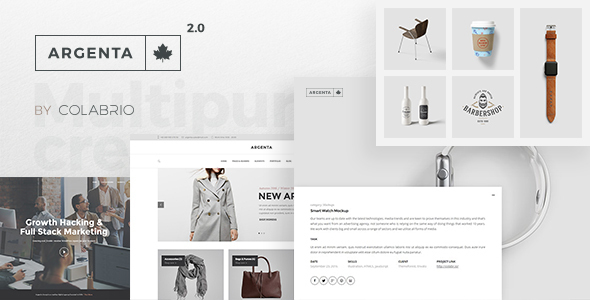 Moreover, the theme is WooCommerce ready, so you can create an online shop in some minutes. Sapphire is a beautiful theme, designed and styled to fit almost any type of content. Its unique, modern and stylish design will help your startup escape from mediocrity and rise above your competitors. If it’s your goal to attract more clients and have all your visitors remember your business, then Sapphire is the theme for you. Sapphire is highly intuitive and customizable and it comes with an extensive documentation, which I doubt you will ever need. The installation is quick and takes mere moments to finish; it comes with Visual composer and revolution slider, as well as a powerful admin panel to customize it to your liking. Its purchase will also grant you a lifetime of updates and support – who can say no to that? Uplift is a responsive premium multipurpose WordPress theme with a clean, sleek and modern design perfect for an IT business. Uplift is the best choice whether you have experience with WordPress theme or not having been built effectively and intuitively to suit all users. Select one of the 9 stunning free demos and install it with only one click, then customize your theme freely with the Visual Composer page builder as well as the theme’s advanced panel. There is not coding required to make Uplift your own and launch your business. It is fully compatible with all browsers and all devices, and all the PSD come bundled with the theme. If you not yet convinced, you can take it for a test drive before purchasing and see what Uplift is all about. 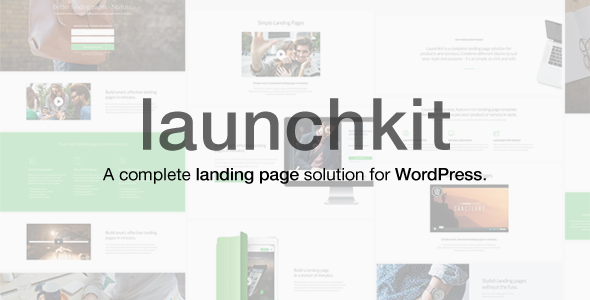 Launchkit has an almost perfect score on ThemeForest and it is not hard to see why. It has an impressive amount of features and it will constantly impress you during use. In addition to being completely stunning, its demos have real content added with professional fonts and perfectly selected colors pairings. Launchkit have done their best to create a versatile theme, and they have not failed. With several header choices, simple color controls and 7 footer types, it is easy to create a unique website. It aims to make your life easier and it delivers; it also comes paired with Visual Composer for more creative freedom. Overall, Launchkit has completely won me over. Kalium has a creative, innovative and professional design as well as multiple features that make it suitable for various purposes and interests. 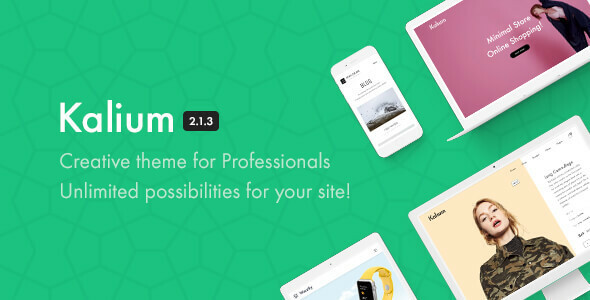 Leave yourself in the capable hands of this theme and let Kalium showcase your work and portfolio in the best way possible. Argenta is a professional, clean and modern WordPress theme designed for blogs and businesses. Argenta is ideal for showcasing your work and attracting new clients with its powerful and intuitive design. 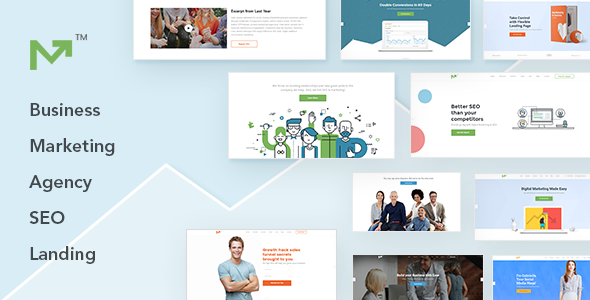 Save time and launch your website fast by selecting one of the outstanding already built demo layouts. Then make it your own by customizing it easily using the admin panel – the final layout should fit your business perfectly. The theme is fully customizable and the demos are only the starting point, you have free rein to make it memorable and unique. You might not know it yet, but Bivio is an impressive premium theme. It’s a WordPress business theme designed for startups, landing pages, IT companies, and much more. 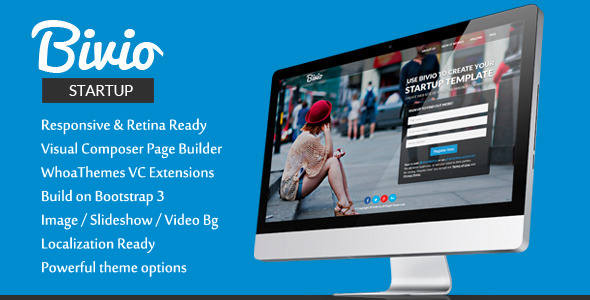 With Bivio, you get all the features you need to build a great website for any type of business. Bivio is translation ready, fully compatible with WooCommerce, has an integrated stunning parallax effect, a powerful admin panel, and at no extra cost, Visual Composer is included to help you built the unique pages you to showcase your work. The developers of this theme went above and beyond to create a truly stunning and useful theme. Pursuit ultimate goal is to make your business successful; this is why it focuses on design and functionality at the same time. Display your most important features and let your clients know easily what they are going to get. 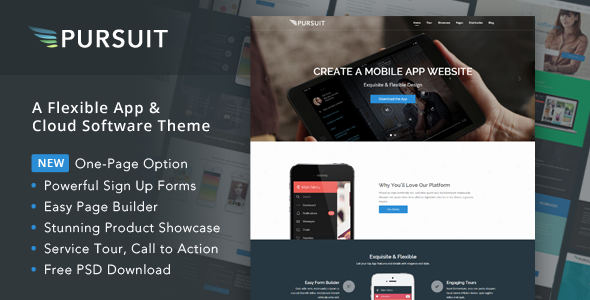 Pursuit is constantly upgraded and updated, and the newest version introduces an amazing one page scrolling effect. The theme is responsive and retina ready, has over 500 icons, a shortcode generator, masonry and standard blog styles, as well as a full detailed documentation where you can find out how to use all these awesome features easily. Give it a shot, it's one of the best WordPress business themes! Hestia PRO is the definition of a sleek and sharp theme. Hestia PRO allows you to play with the design details, the order of its sections, colors and typography, and many more through the live customizer in order to let everyone know how you are and what you do. Every element in Hestia PRO can be easily translated and made sure to be SEO optimized so that Google will take you seriously. Enjoy the one click demo install, updates and for those who need it, the incredible customer support. Go for it, start your IT Company with Hestia PRO. Created by a Power Elite author and with over 20,000 sales, it is safe to say Uncode is an amazing premium theme. It is multipurpose and it can be used for various websites from IT and tech companies to music and photography blogs. Building the right website for your IT company can sometimes be tough. However, it is not the case with Startuply. With 7 homepages to choose from with only one click, Startuply has you covered from the beginning. With Startuply, making adjustments is easy and fun thanks to Visual Composer page builder. Select from over 15 or more page templates and forms, to make your business stylish and unique. Enhance the theme with parallax and color overlay effects, unlimited color options, powerful animations, several blog layouts, custom widgets and much more! With Startuply it is easy to put your creativity to good use. 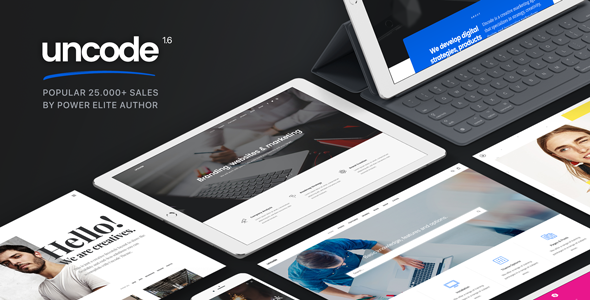 Thank you for reading this awesome collection of premium WordPress business themes that can be used for IT companies, start-ups, social networking, or any tech-related website. If you have any themes you think should be on this list, please feel free to leave it in the comments below! We appreciate all feedback.